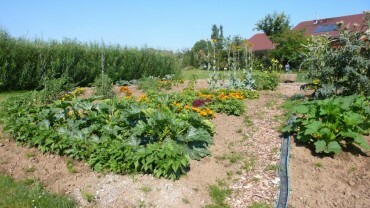 Discover, with «Les Jardins du Temps», a vegetable garden cultivated with natural and arranged in an artistic way. In our floral garden, the vegetable garden is characterized by its form from saucer which, directed towards the south, benefits the maximum of the rays of the sun. 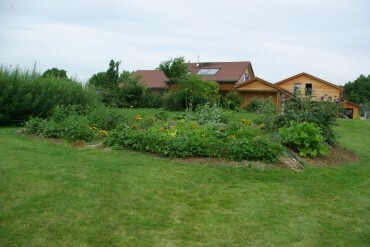 A fountain and canals of water make it possible to sprinkle the surface of the vegetable garden effectively.